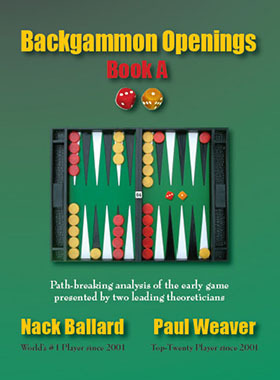 Nackgammon is a version of the game invented by Nack Ballard, the #1 Giant of Backgammon. It is designed to add more skill and creativity to the game. It also uses the same rules as standard backgammon – the difference is the starting position as shown below – with two checkers on the 23 points, one taken each from the 13 and 6 points, where normally five checkers go.